At No. 47 Rue Raynouard in Paris’s chic 16th district (arrondissement), there is a house, one not very large or grand, but which all the same left me in silent awe. This house is where French writer Honoré de Balzac, had lived. 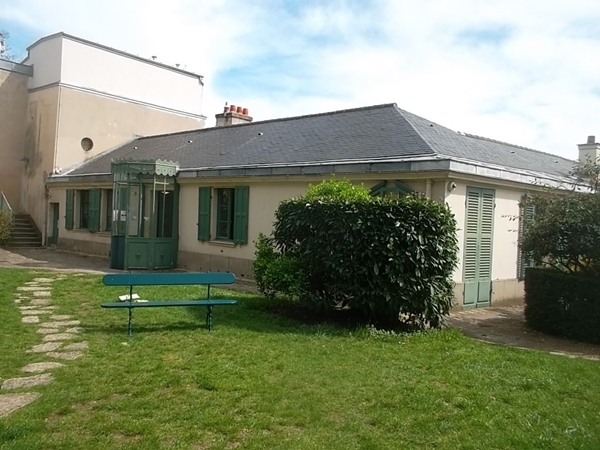 I visited the house, today a museum – the Maison de Balzac – for the first time in May. Having expected something magnificent – successful writers are wealthy are they not? – I was surprised at the simplicity of this house. Yet, Balzac – the Balzac, one of the world’s greatest writers, had lived there. What is more, he was so poor and so deep in dept that he had not had the means to buy the property, but only to rent it. And rent just part of the house – just five rooms which had become both his home and his work place. In those rooms though he had written his finest novels. I will mention only La Comedie humaine et La Cousine Bette. Before living here he had moved around, always letting, never buying, and always letting under a pseudonym or the name of an acquaintance, and as in the case with this house, in the name of his housekeeper. He had therefore become Monsieur de Breugnol. Never having married but having confessed to one of his sisters that he had fathered a child, he married for the first – and only time of course – on March 14, 1850 – a widowed Polish noblewoman, Evelina Hanska. Having read his novels, she, in 1820, had written him an admiring letter, anonymously, which when he had discovered her identity had resulted in a correspondence between the two. In 1832, the two had finally met when both were sojourning in Switzerland. In 1841, she had become a widow, then living in Russia, and though free to remarry, the Russian Czar whose permission was essential refused to grant it.In 1850, the Czar having finally given Evelina permission to remarry, but both she and Balzac in poor health, they were married in Berdychiv, then in Russia, today in the Ukraine. They were religiously married in a small chapel on March 14. At the end of that month their health concerns forced them to return to Paris and they moved in with Balzac’s aged mother. 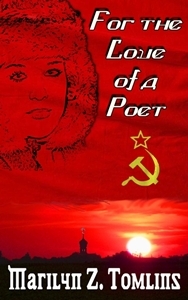 Evelina suffered with gout, and Balzac with his heart. The marriage was but a short one. 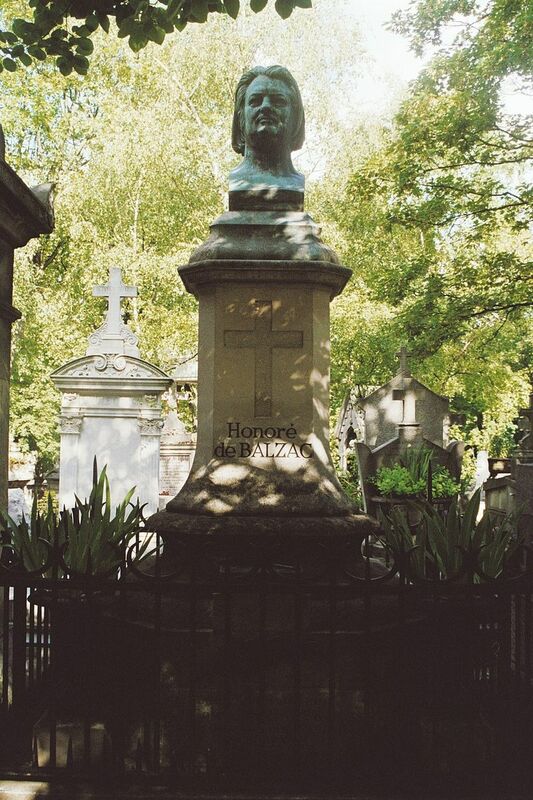 Born on May 20,1899, Balzac passed away on August 18 that year, just five months into the marriage. He was 51 years of age. And penniless. 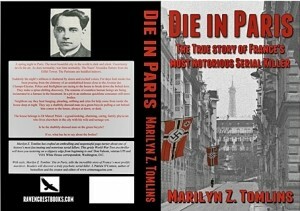 In fact, he left a debt of 200,000 francs behind for his widow to settle. He was buried in Paris’s Père Lachaise Cemetery, France’s literati in attendance. 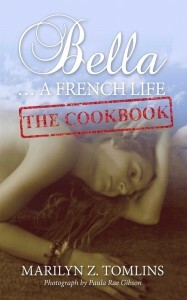 Evelina would in the 30 odd years to 1882 when she died control Balzac’s literary estate. 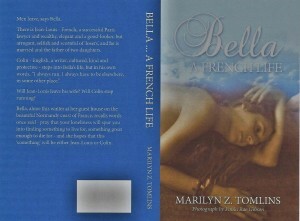 She had many lovers, but had not remarried, and lies with Balzac in his grave. 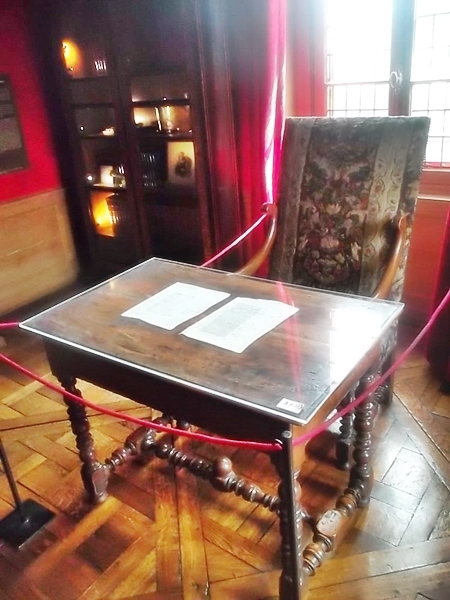 After Evelina’s death, Balzac’s personal possessions were dispersed, and thus, all to be seen in the Rue Raynouard house, are his writing-desk and chair, a turquoise-studded cane, and a kettle and a coffee pot. The house has been a museum since 2013. There is no entry fee. The house is set in a not-very-large garden, Rue Raynouard, some ten steps above its white-painted walls and green shutters. 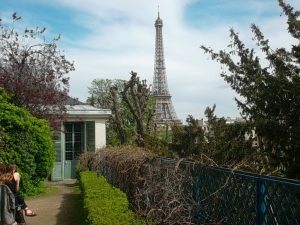 Weather permitting one can sit in the garden, and, as the street runs up a hill, enjoy the view of the chic, and expensive Passy district down below. 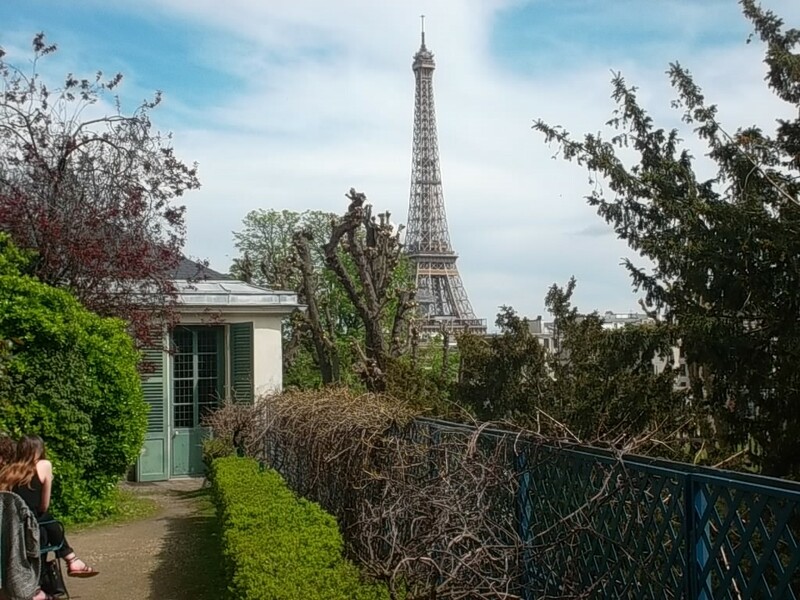 The Eiffel Tower is part of the view as it is behind the house. My first thought on spotting the tower was that should I have such a view from the windows of my apartment, my creative juices would flow as had those of Balzac. Alas, when Balzac lived there, the Eiffel Tower had not yet existed: its construction dates from 1887 to 1889, Balzac then long dead. 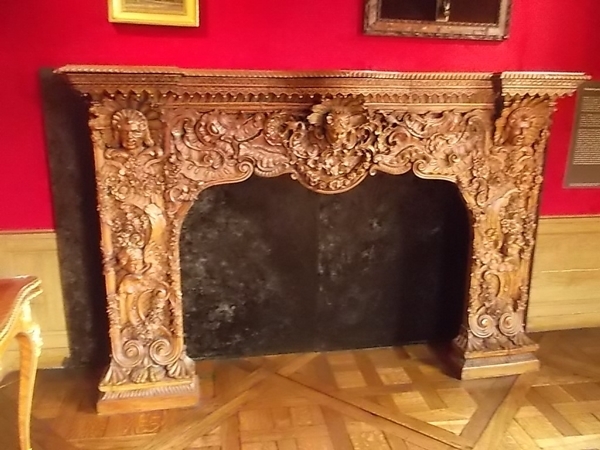 As well as the writing desk etc which I’ve mentioned, you will see sculptures of Balzac and a most elaborate fireplace which he had ordered made for the house despite that he had no money and was deep in debt. The nearest Metro station to the house is Passy of Line No. 6 and from there street signs will direct you to the house. Passy Station opens on Place Charles Dickens and Rue Raynouard leads from it. 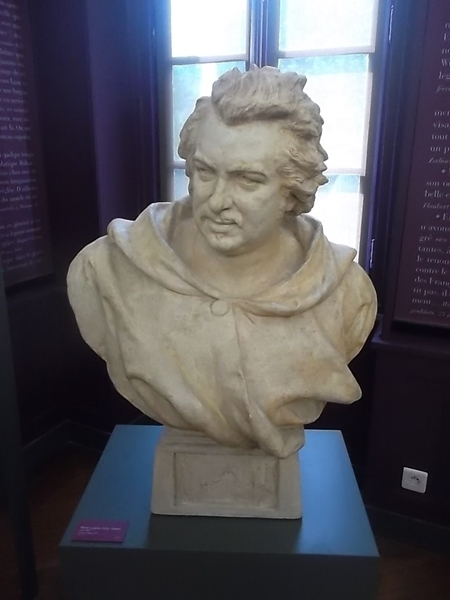 The museum is open from Tuesday to Sunday from 10 a.m. to 6 p.m.
Balzac did indeed father a child. The child, a girl named Marie Caroline du Fresnay, was born in 1834 to a fellow writer Maria du Fresnay, she a married woman. Much confusion and rumour surrounded the existence of this child, and it was not until 1946 when a grandson of Maria du Fresnay confirmed to a French historian and journalist that his grandmother had had a child by Balzac and that her name had been Marie Caroline du Fresnay. Nothing more is known of her.